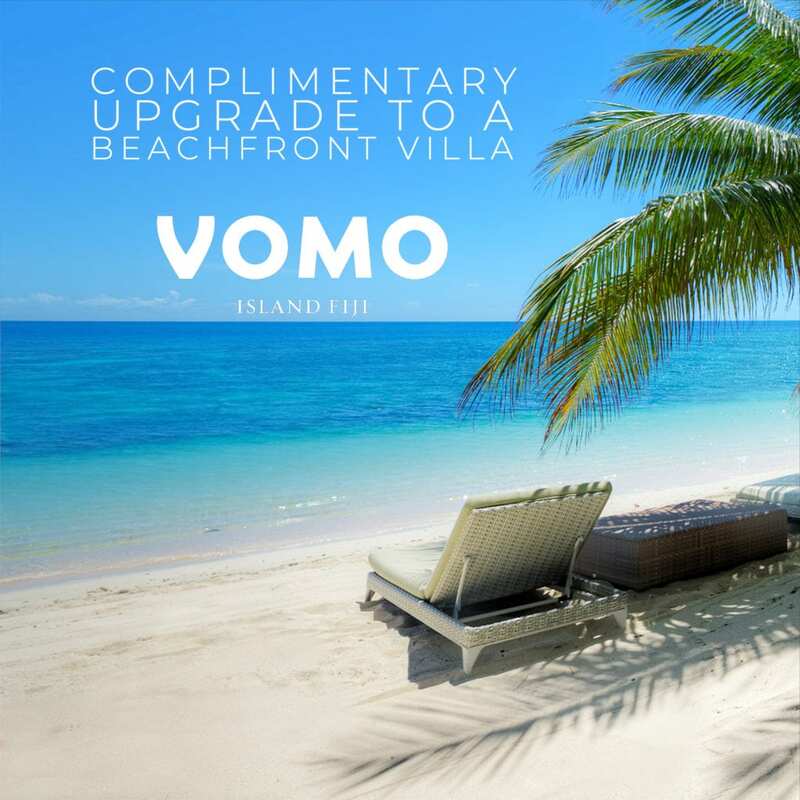 Receive a VOMO upgrade with our compliments. Must book by 15 March 2019. It’s the perfect time to experience your own #VomoMoments. Must stay minimum 5 nights to receive this offer but can combine with Stay 5 Pay 4 or Stay 7 Pay 5. Stay Pay may also be doubled Stay 10 Pay 8 and Stay 14 Pay 10. Travel must be completed by 1 April on this offer with the last night of the stay being 31 March. Please note: VOMO closed for our annual maintenance weeks from 17 February to 1 March and will re-open 2 March. See you soon!